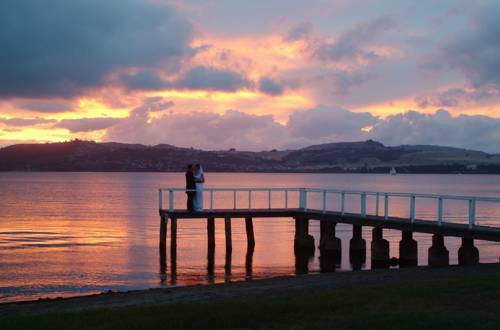 Situated right on the shores of beautiful Lake Taupo, the Millennium Hotel & Resort Manuels offers guests luxury accommodations with magnificent views of the lake and mountains from the rooms, dining room and lounge bar. Edgewater Restaurant: Edgewater Restaurant has magnificent location with fabulous views over the lake. It has a long standing excellent reputation as being one of the best restaurants with award winning cuisine, comfort and ambience second to none in the region. Beach Brasserie: Beach Brasserie ? right on the beach, is a casual style restaurant featuring the most popular family favourites using only the best fresh NZ produce. Al Fresco dining in summer, a la carte selection or weekend and holiday buffets. Lakefront Bar: The Lakefront bar is a relaxing meeting spot where you may enjoy a special cocktail while watching beautiful sunsets over the lake. Open every day for House Guests and Diners.